T18 comes preassembled and ready to charge in the most compact design yet. 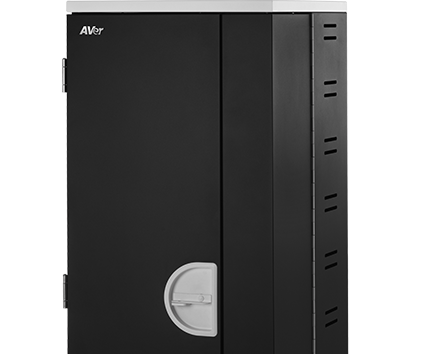 Taking up minimal classroom space with its vertical design makes this tower the perfect device management system for classrooms needing a fixed charging solution. 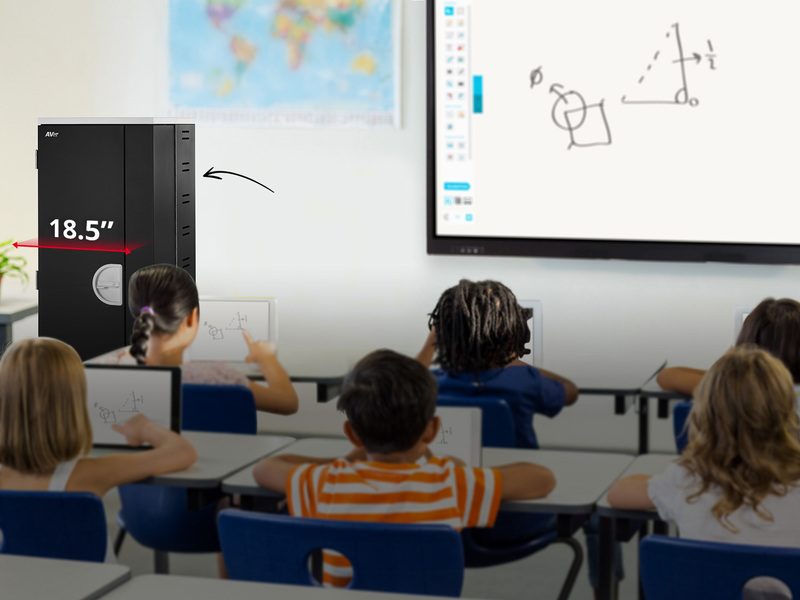 The smallest footprint at 18.5" wide leaves more space for interactive learning, while supporting 18 laptops, Chromebooks, or tablets up to 16". 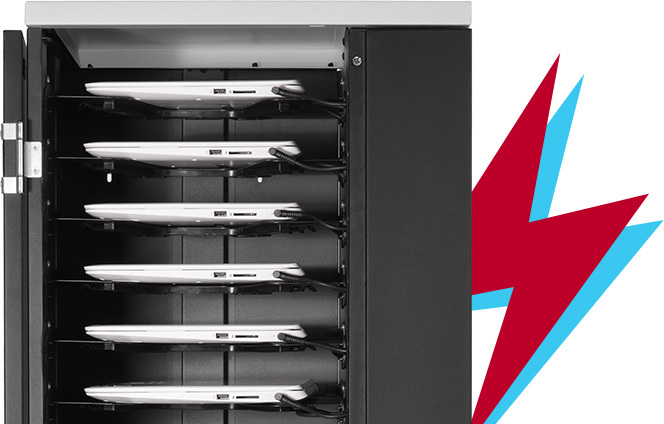 Built-in locking cable clips on both sides of the tower, create an organized and efficient cable management system located at the front for smooth access to quickly plug and unplug devices. T18 comes preassembled, ready to instantly start charging devices, and mounts easily to the wall for increased security and stability. No programming or monitoring needed, and devices are simultaneously charged without worry of circuit overload. The T18 includes AVer's best in class service and warranty program with technical support and onsite repair, along with a 10-year mechanical and a 5-year electrical warranty program. 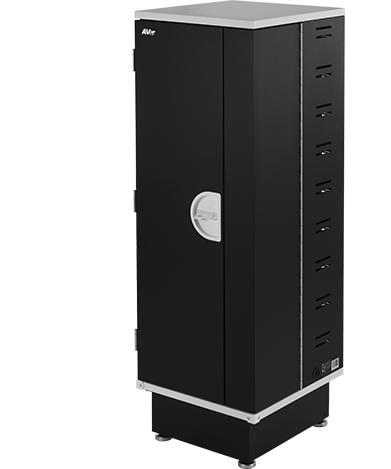 T18 is a universal solution that is adaptable to mixed learning, 1:1, and BYOD making it a perfect charging tower for any learning environment. 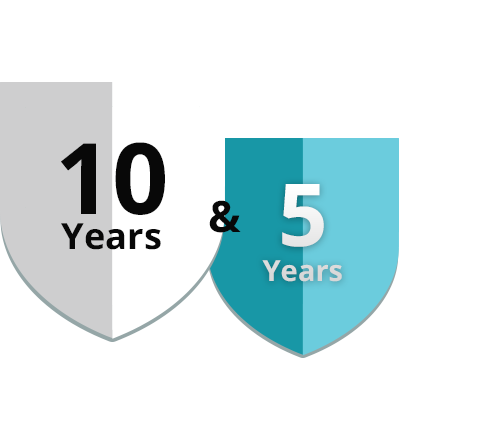 Support DeviceDevices up to 16"